The 21.Mladifest Medjugorje starts August 1, 2016! Don’t miss it! Shipmates sailing with her upon the digital sea…. On Monday, August 1, 2016 the 27 Mladifest Medjugorje begins!! 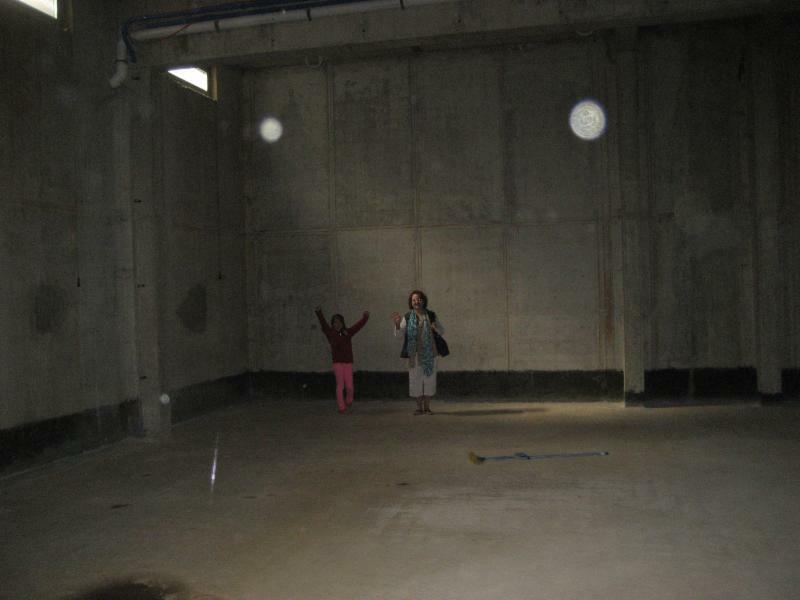 We will also stream Mirjana’s Apparition on August 2. Check the web page for details and further additions to our broadcast schedule. Join us for this joyous and very important festival. And pray for our team, as they will be working in the heat all day long to live-stream this time of prayer and witnessing of faith in the young people. New features on the Mary TV App!! An exciting new feature was just added to Mary TV’s APP (photo above)! By clicking on the “share” icon in the right hand top corner of our “On Demand Videos”, you can immediately share that specific video by email, Facebook, Twitter, or WhatsApp. There’s also an “Audio Only” function on the Mary TV App so you can be connected to Medjugorje while you’re jogging or driving in your car…. 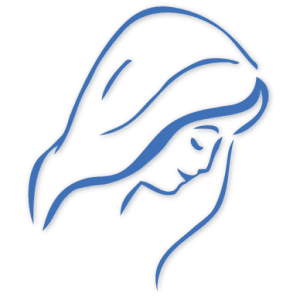 The APP is free…tell friends – and tell them how important it is to stay connected to Our Lady’s presence in Medjugorje. She just told us Jesus is sending her among us so that she may grant us safety! Thank you for helping Mary TV update equipment!! Thanks to your continued support (spiritual and financial) Mary TV’s shipment of new and refurbished technical equipment will be arriving in Medjugorje tomorrow – just in time for the Youth Festival (see the top of Mary TV’s web page MaryTV.tv for our Live streaming schedule next week). The Queen of Peace is herself Heaven’s peace plan! The Queen of Peace is herself Heaven’s peace plan for today’s poor tired world, growing more and more in need of peace with each passing day: “Dear children! My real, living presence among you should make you happy because this is the great love of my Son. He is sending me among you so that, with a motherly love, I may grant you safety!” (July 2, 2016). Broadcast TV is still our hope! IMPORTANT: Everything MaryTV is doing through the Internet today can easily be transitioned into full broadcast quality television… Note the photo (above) of our main TV studio, which, I’m sorry to say, has been sitting unfinished for more than 10 years! With several $50,000 donations we could easily transition into broadcast television…With the way the world is hurtling, it seems to be time! “Pray for peace. Pray with the heart, little children, and do not lose hope because God loves His creatures. He desires to save you, one by one, through my coming here,”(March 25, 2003). Feel free to purchase a lottery ticket (I won’t, but you can)! Or go out and find someone who has money they could donate…. Consider including Mary TV in your will! PS. 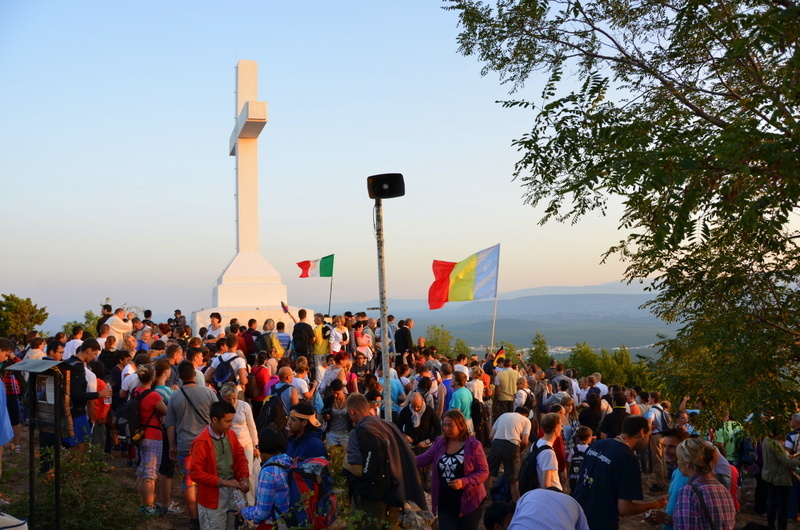 I’ve said it before and I’ll say it again: the way to go to Medjugorje is with a group. Our Lady delights in pouring out her graces upon her children through her children! That’s the way she loves to do it! Cathy and I experienced the most incredible graces through Michael’s group that we just went to Medjugorje with last month. And the way we are sticking together – staying in touch ­- those graces are continuing!!!! I’m told some airline tickets right now are incredibly low! NOW IS THE TIME TO GO! Call Michael and don’t put off getting those tickets – prices can change every day! (October is the most beautiful month – and a lot of a pilgrim’s time is spent outside) …. Thank you, Angie, and thanks to all of you who have become monthly donors. We feel your support each month!! God bless you all! !